The Reading Bowl is a competition between schools using the books that are the nominees for the current year’s Georgia Children’s Book Award. 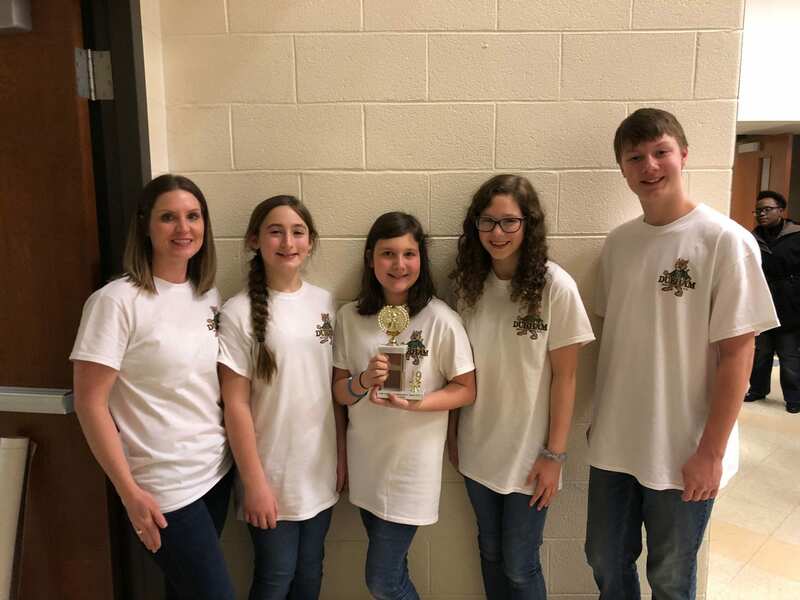 The two teams from each level (elementary, middle, and high school) who win the Cobb County competition move to compete at district, region, and state competitions. Ten students may be on the roster. The Cobb County competition day is . . . projected to be held January 2020. If you are interested in becoming part of Durham Middle School’s Helen Ruffin Reading Bowl team, see Media Specialist Mrs. Baker for all the details, and start reading the books from the above list. Divide your book’s pages by the number of questions you plan to write. Example: If your book is 120 pages and you plan to submit 20 questions, 120/20 = 6, so for every 6 pages you will write a question. Base questions upon important, concrete and factual information NOT Yes/No or True/False. In the book Fuzzy Mud, what is the name of the private school Tamaya attends? Start each question, “In the book…” and put the answer, whether the book is hardback (hb) or paperback (pb), and the page number where you found it after each question. Save questions in Office 365 Word documents. Mrs. Baker will direct you regarding submission once questions have been approved. 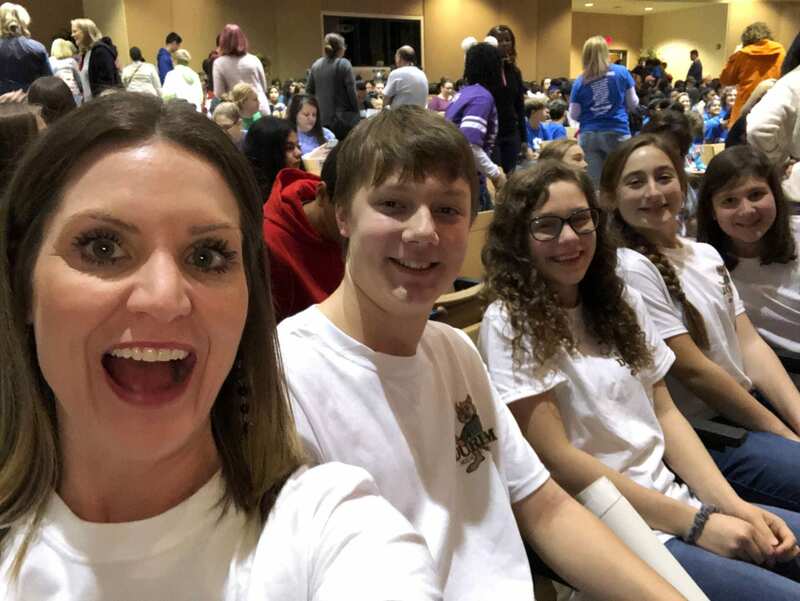 NOTE: Each approved question earns 2 points; final points will determine who attends the Cobb county competition on January 19th. Included with the questions, should be a comprehensive list of characters and settings. 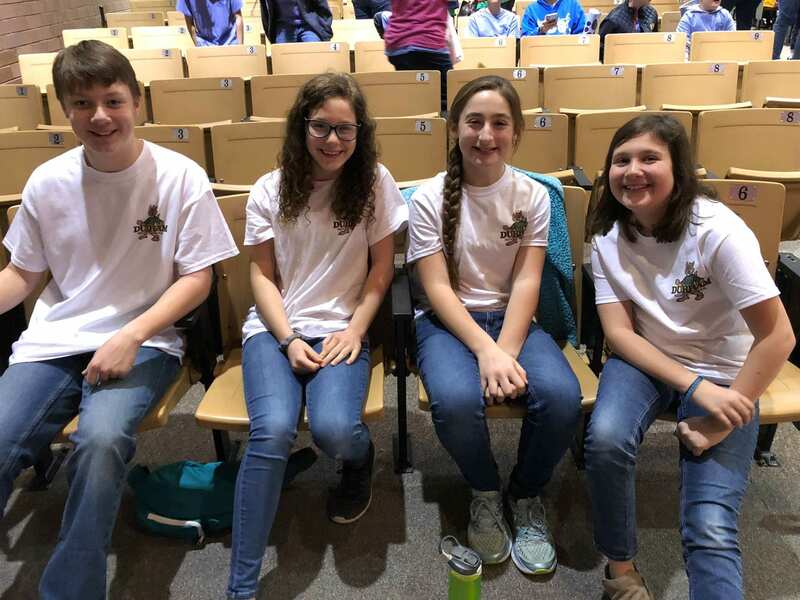 Congratulations to Durham’s 2018-19 Helen Ruffin Reading Bowl team who recently participated in this year’s annual event at Kell High School. 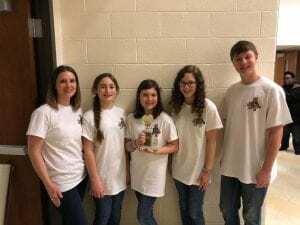 The Reading Bowl is a competition between schools using the books that are the nominees for this year’s Georgia Children’s Book Award. 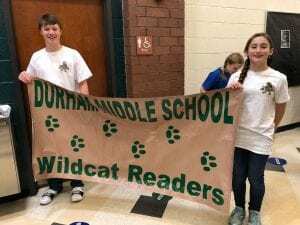 Our team, led by Mrs. Baker and Mr. Vedra, read and studied the 10 nominated books! Caleb Cheshire, Riley Maisano, Kadin Mullen, and Sarah Hanson represented Durham well. Your school is proud of you!